Very Thick Bone structure with lots of muscle!! He is a proven sire! 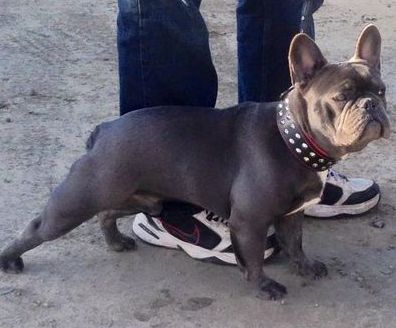 Stitch is a Blue Trindle with great structure and a perfect personality! Stitch is a proven Sire that produces outstanding puppies with lots of bone and great structure and sweet, smart pups! Weight - 26 lbs Very Thick bone structure. Many Hungarian Champions in his Bloodline. 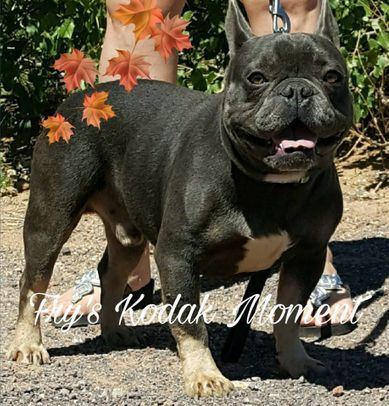 Proven Sire of beautiful puppies with great bone structure and personality! Max has now passed over the rainbow bridge. He is greatly missed! 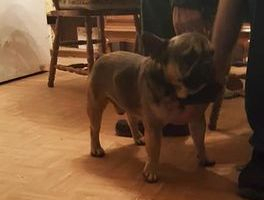 Max was everything a French Bulldog should be,our loyal friend and family member. Loved by all who knew him. Rest in peace my sweet boy.